Numina is a library that includes common functionality for all my mods, and a few extra utilities that people have requested. - Define recipes in a straightforward, easy-to-edit JSON format. - Recipes are downloaded automatically from the server when you connect, so server owners can disable or change certain recipes or even add new ones without having to make a separate modpack! - Field of View fix: Especially with modded minecraft, you end up going quite fast, and the vanilla behaviour of changing your field of view can get nauseating. This hack makes sure your field of view is always set to a reasonable amount. I have the latest versions of Numina and MPS downloaded for 1.7.10 but continue to crash upon start up. Launching the game with only Numina enabled works fine. However, as soon as MPS is enabled I get a crash before initialization is finished. I'm using ATLauncher with the Crundee pack installed. Here's a link to the crash report. Any help is appreciated TIA. Alright it seems the latest version of MPS (0.11.1.114) is not compatible with the latest Numina (0.4.1.105), at least in my case. I rolled back to the previous version of MPS and everything is working fine. not enough information to address your issue. Also, issues for modular powersuits should be reported on the github page. The best guess I can give is that you are either using an oudated version, or another mod is interfering. There is no further help i can give you based on the information you have provided. I have downloaded module powersuits for 1.6.4, but I need Numina, and when I look under the forum though your website, it brings to a Dropbox without Numina was wondering where I could find it? 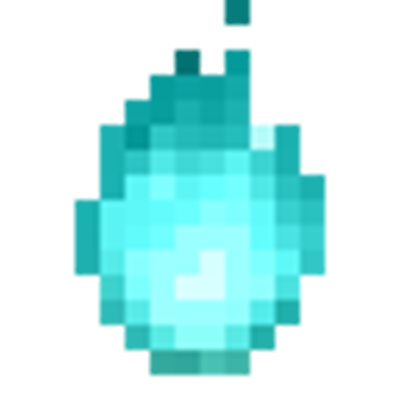 To update this mod in Direwolf20 1.7.10, do i just drop the lastest version in the mod folder and delete the old (with the server shut down)? Sorry, I don't deal with modpacks, but generally you would want to update both MPS and Numina. I have the latest version of Numina and MPS for 1.8.9 but only certain vanilla recipes work. 1.8.9 was an early alpha that requires a a complete rewrite to make it anything more than it is. It's just too much of a mess and has not been touched in almost a year. Because the mod is only being maintained by one person, I've had to limit what versions I can support. I wish I could have left 1.8.9 in a better state, but there are only so many hours in the day and I have to focus on the future of the mod to keep it alive. The current focus is on 1.10.2 at the moment, and from there, 1.11.2. Why isn't there a numina 1.10.2? when I downloaded the Modular Powersuit mod and tried to use the Weapons on the Power fist it crashed me. I've been having trouble trying to connect to a DW20 server. The pack version is supposed to be 1.10.0, but since Curse hasn't seen fit to release any kind of help for Linux users, I had to use an unofficial utility to get the pack close to working. When I first booted it up, I got a missing mod error: Numina. So then I got on CurseForge and found a version of Numina that got the pack running. Then I tried connecting to the server, and I got a mod rejection message. It would seem that I need Numina v0.4.0.119. Trouble is, that version is not on Curse. I checked the manifest file, and Numina is in there, but plugging the file ID into the appropriate URL structure gives a 404. It seems to me that this version has been taken down. Has it? If it has, may I ask why? And is there anywhere I can get this version? EDIT: Or, is there a version of Numina on Curse that won't cause this rejection? There is no 1.10.0 version of Numina or MPS. Do you mean 1.7.10? Anyway, regarding the version you are seeking, that's a really old version and was probably something that was on the Jenkins build server rather than Curse or CurseForge. Unfortunately, I have no idea what happened to that build server. As to what version will work with the pack, I have no idea. I don't use packs much less get a chance to play. That would be best left for someone that actually uses the pack. I did say that the pack version was 1.10.0. This is usually different to the Minecraft version(in this case, it is 1.7.10, as you surmised). I find that version of Numina never being on Curse rather hard to believe. The way Curse now delivers their modpacks, the ZIP file contains only the mod jars that are not hosted on Curse(this is a PITA for anyone not using Curse Voice). The rest are pointed to by a JSON file(the manifest), which Curse Voice reads, and downloads the mods. If that version never was on Curse, then it would have been in the jar. The fact that it was referenced in the manifest file suggests that that particular file was on Curse when the pack was created. But still, thanks for the help. I will go ask on the FTB Forums. EDIT: I ended up on FTB Support(oddly seperate to the forums), and got a bit intimidated/annoyed by the requirement for a log. I'm going to try the FTB Launcher first. make sure you are using the latest Numina and MPS and make sure you have power. Hi. I built myself a modpack for my own single player experience and I can't seem to install Modular Powersuits 1.7.10 (Numina loads without problems). I tried downloading the IC2 / Thermal Expansion recipes but both links lead to a "This site can't be reached". Here I left my crash report file. I honestly don't know how to make sense of these, so I'm hoping someone can help me here. That whole recipe thing is outdated. They were once hosted on the build server site for download, but you can actually find the recipes in the jar file itself if needed. The build server has been down for nearly a year now and I've been building on my own machine.